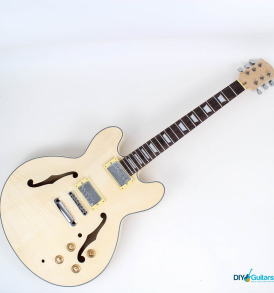 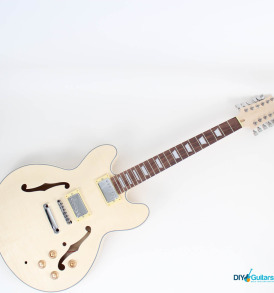 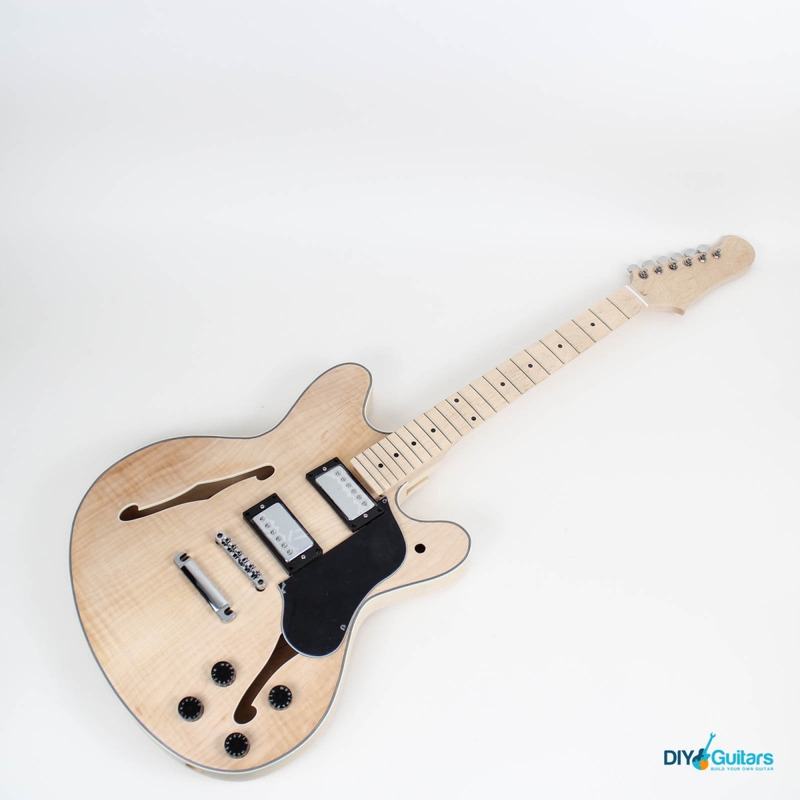 This kit is a tribute to the cool lines of the rare 70’s Starcaster – Fender’s unsuccessful attempt (at the time) to crack the hollow and semi-hollow market dominated by Gibson’s 335. 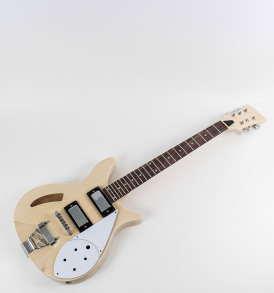 Fast forward 30 years and the Starcaster has come into it’s own and is seen hanging with the uber hip Jonny Greenwood (Radiohead), Dave Keuning (The Killers), Jamie Cook (Artic Monkeys) and Chris Walla (Death Cab for Cutie). 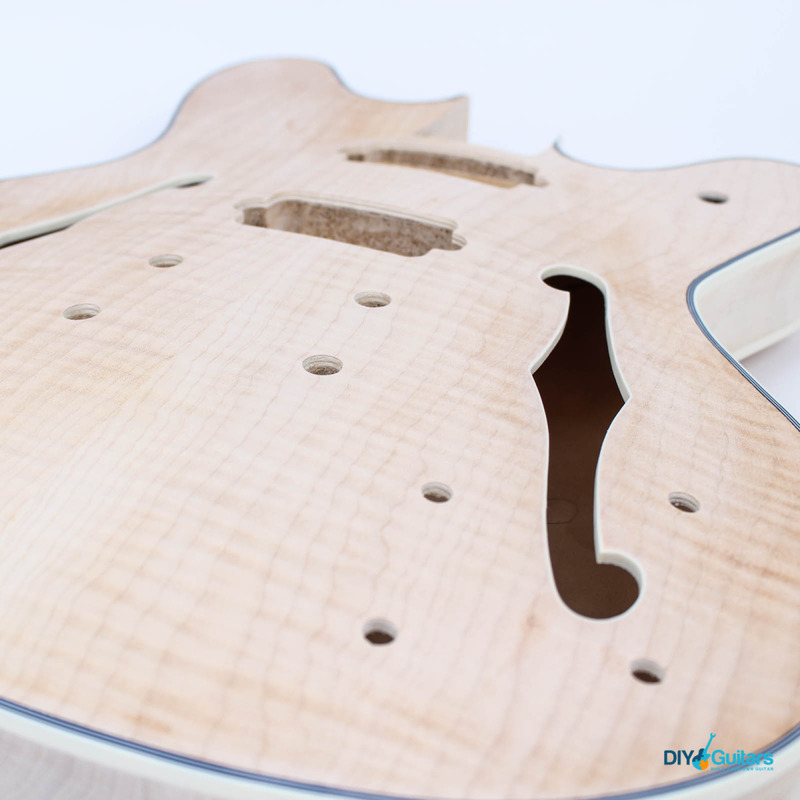 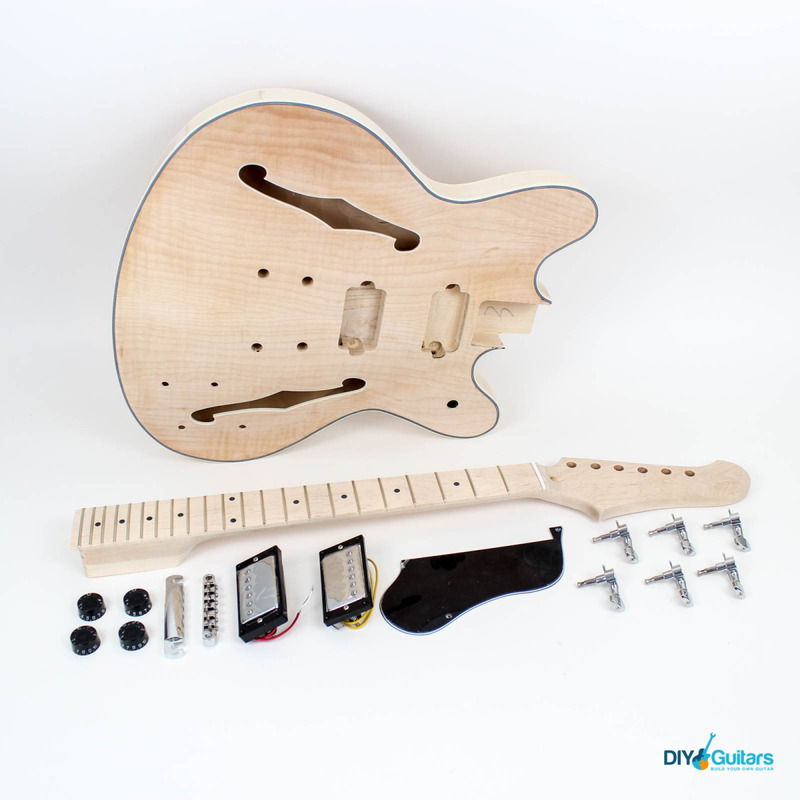 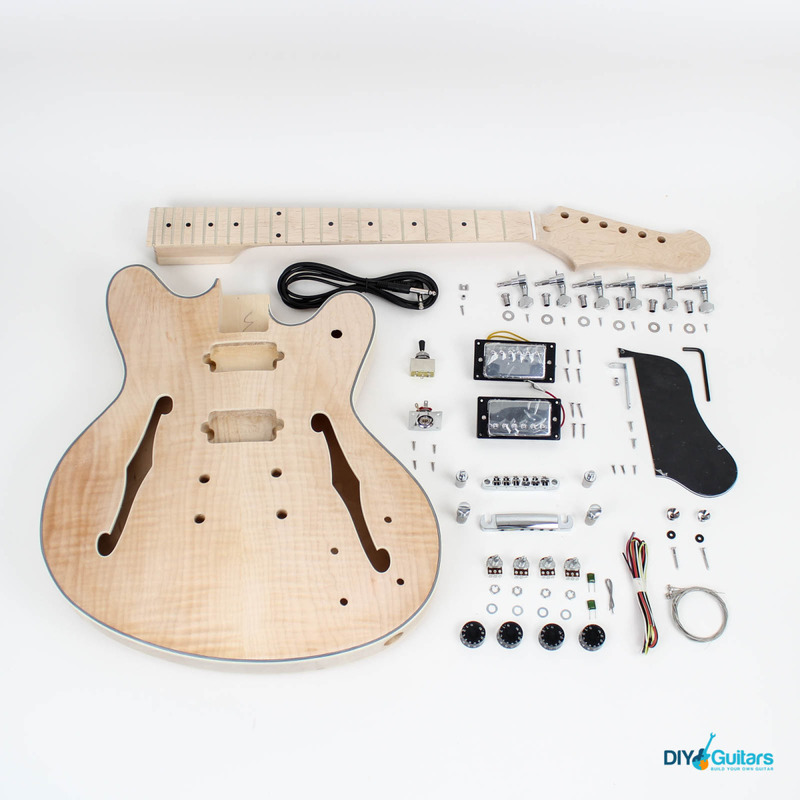 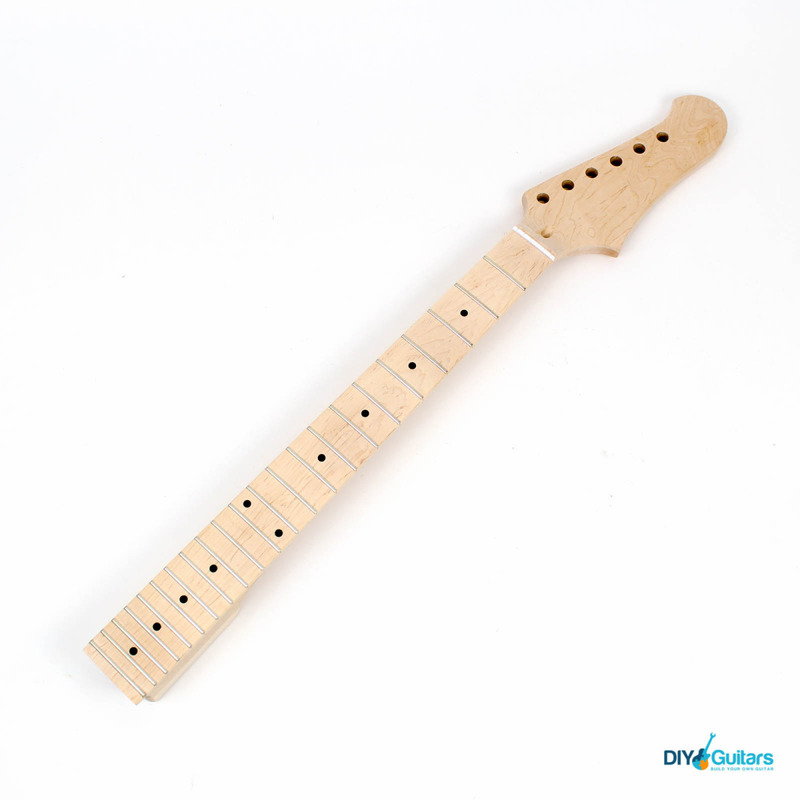 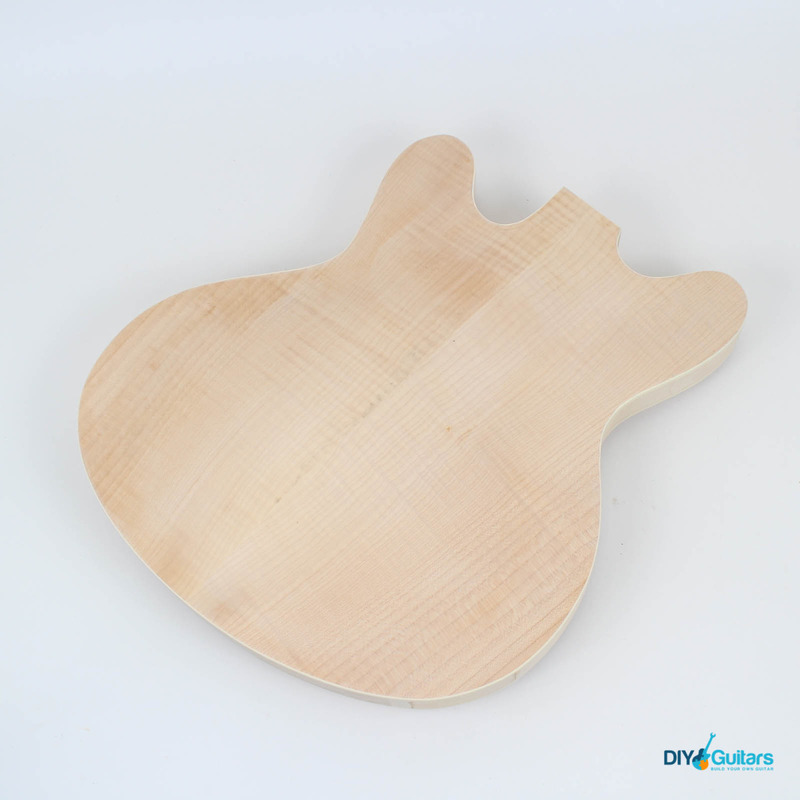 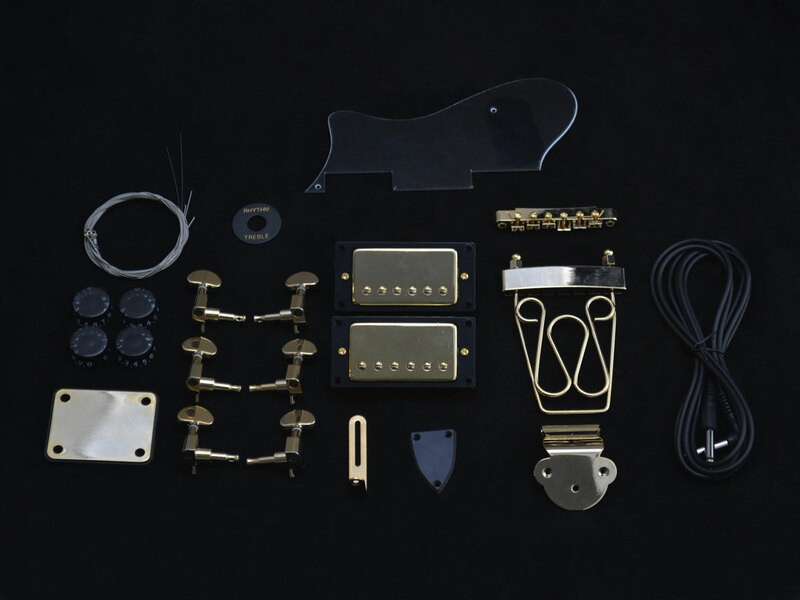 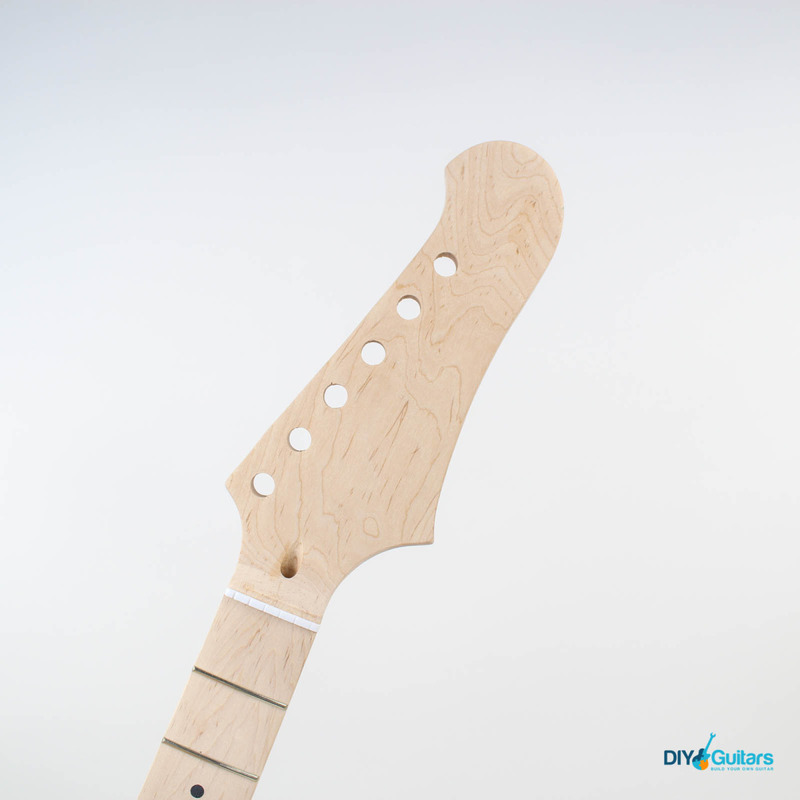 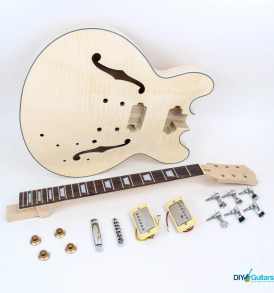 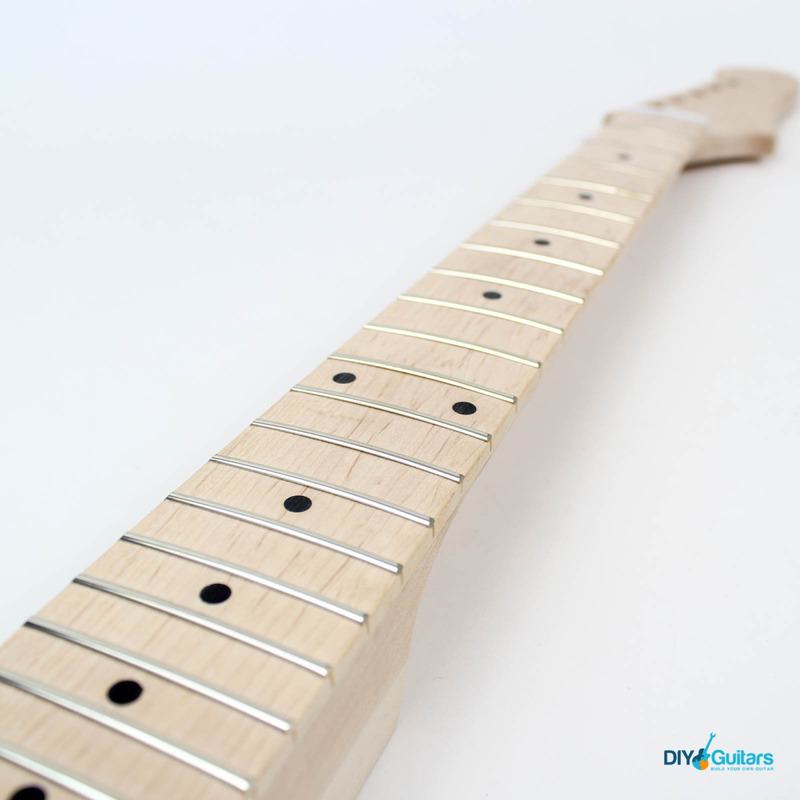 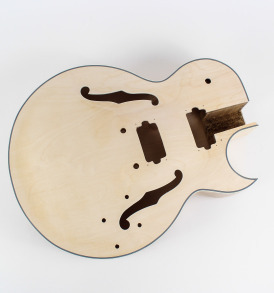 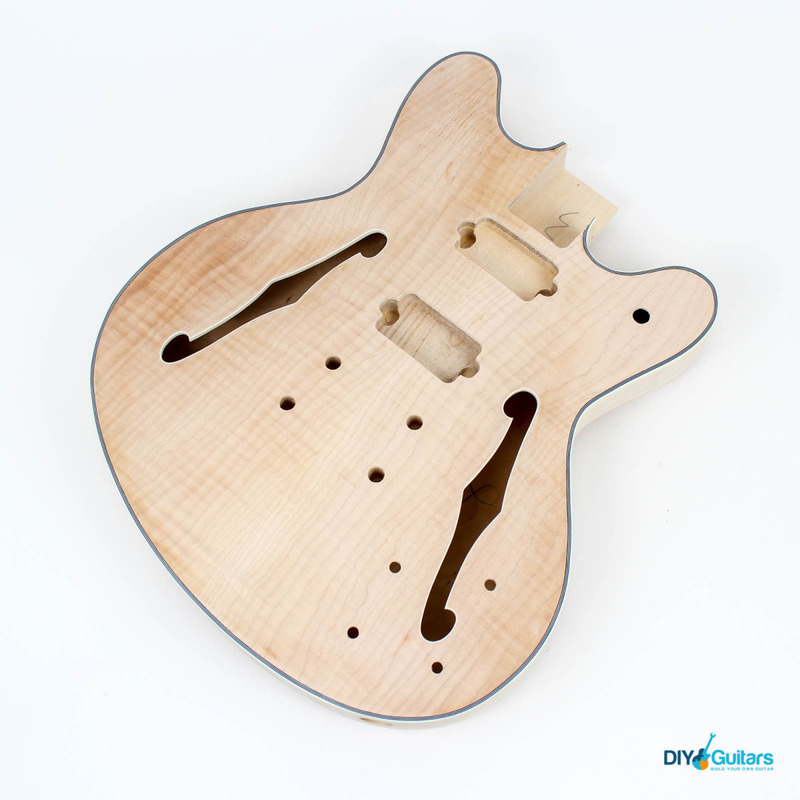 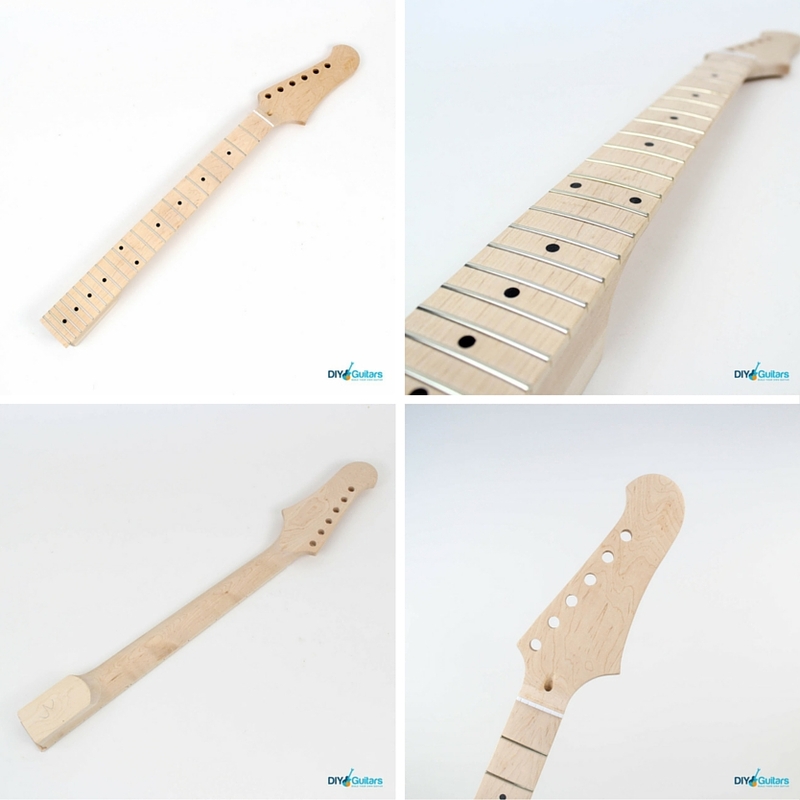 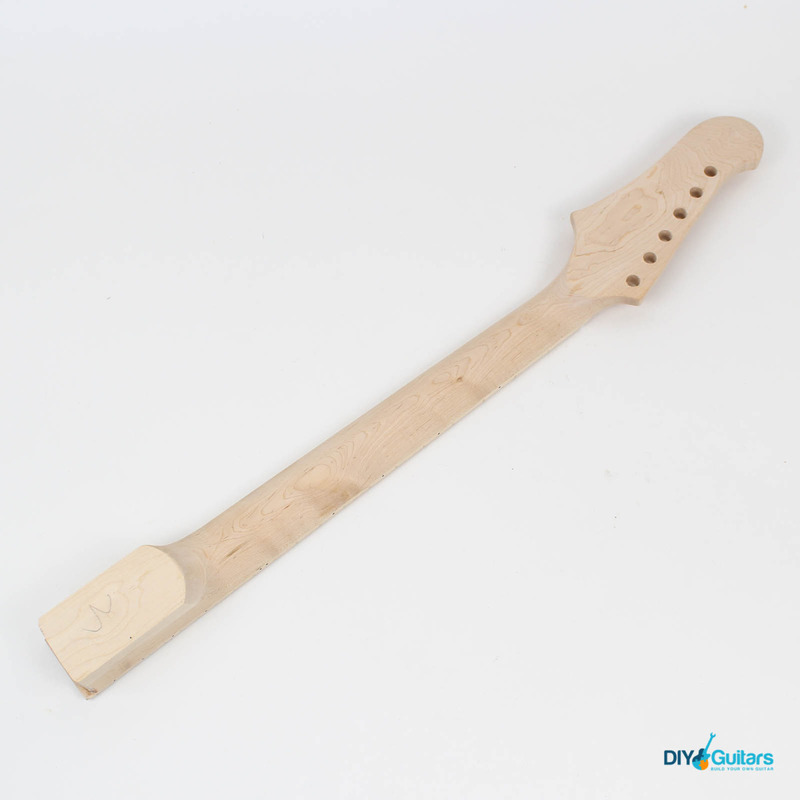 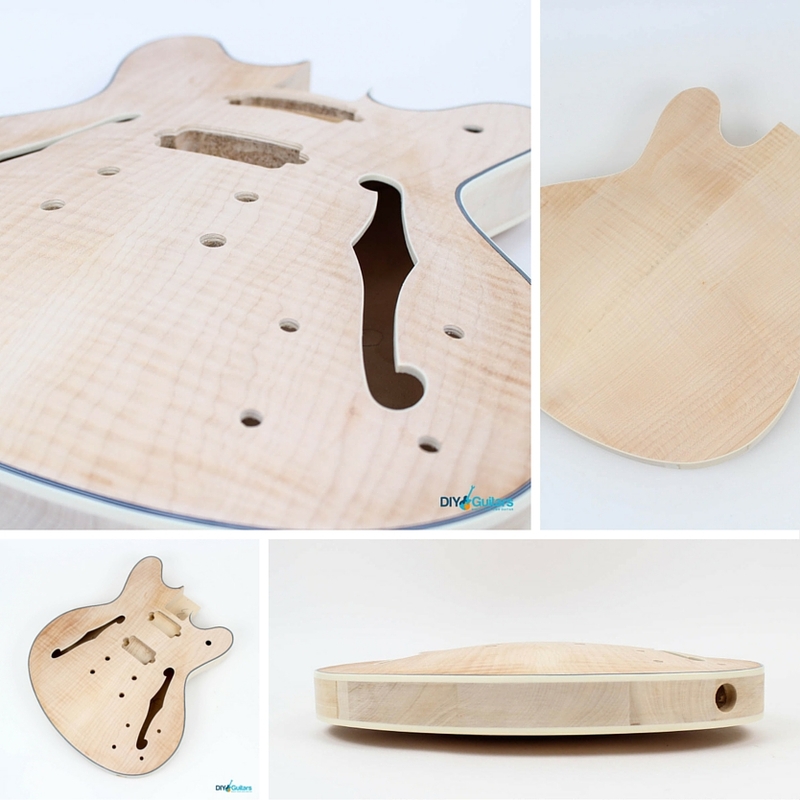 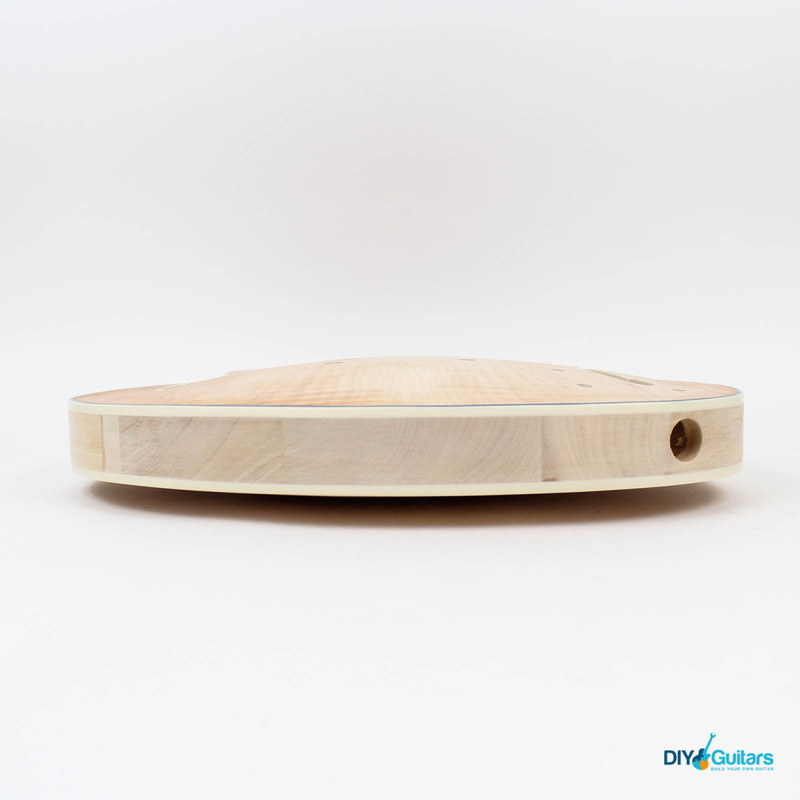 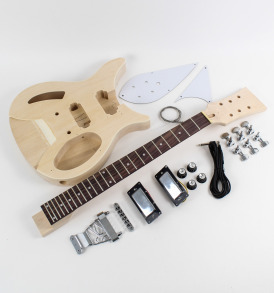 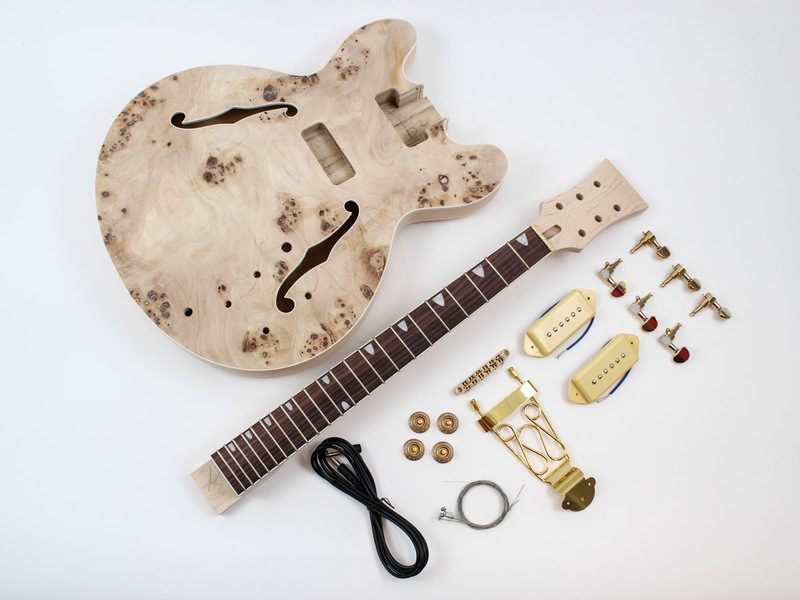 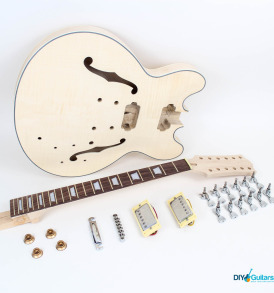 The kit includes the body, neck, pickups, bridge, machine heads (tuners), volume/tone knobs, neck plate, pickguard, strap buttons, pots, capacitor, switch, output jack, screws, sleeves, bolts, washers, insulated wire, solder, lead, starter strings, allen key.